Although they are not really seen as a pest, birds can become a big problem that can lead to loss of business, contaminated products, expensive damage and destruction of your Plymouth, MN property. Some species of birds have been linked to aggressiveness by human approach. Birds can be a public health threat, as some species have been linked to carrying certain diseases that can be transmitted to humans. Even birds and their nests can have parasites such as lice and mites. And let’s not forget about that annoying and distasteful bird droppings, which can signal unsanitary conditions and eat away at building finishes, gardens and water features. When they nest to close or become an overwhelming in numbers, it’s time for removal, not just of the birds but also their droppings. There are around 10 to 20 billion birds residing in the United States today–that’s a whole lot of bird droppings. Below are some common types of birds that reside in Minnesota and tend to cause a nuisance to homeowners and business owners. Geese — The main reason why people dislike these birds is because of their bird droppings. Geese can also be hazardous in urban situations with constant flow of traffic and air traffic. Mourning Doves — Mourning Doves can become a nuisance because they travel in large numbers and can create nests in the gutters, eaves and attics. They always leave behind, yep you guessed it, bird droppings and feathers. Ducks — Ducks can damage property with their nests and droppings, and can overrun your yard/garden. Ducks have also been known to transmit diseases to humans as well. 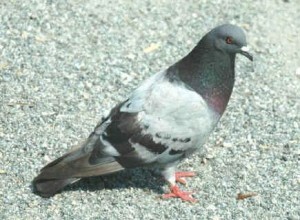 Pigeons — Pigeons can especially be a nuisance around their roosting sites–as they can become very protective of their nests. Their acidic droppings can eat away gutters and other metal structures, erode stone buildings, and burn lawns. Wood Peckers — Wood peckers can pick and prod away at your home’s wood structures if they are left to do as they please. Swallows — Swallows cause a disruption in suburban areas because of their nesting habits. Their mud nests damage and deface the outer walls and eaves of residences and office buildings. Red-Winged Black Birds — Yep, you’ve seen them. The males have that glossy black with red-and-yellow shoulder badges while the females are crisply streaked and dark brownish overall with a whitish tail. These birds will do anything to get noticed, sitting on high perches and belting out their songs all day long. These birds have been known to eat away at like crop which can be harmful for farmers. Your bird situation should be taken care of before the bird population gets too out of hand. At Minnesota Wild Animal Management Inc. we have the right tools, knowledge and experience in bird and nest removal, small animal control, pest control services, and much more. If your bird problem is ruining your home or business, call us today at 612-237-8282.